Are you fighting to save the world? Or fighting to save time and money on the job? Either way, winning the battle requires that you never stop evolving. Just as TRANSFORMERS: THE LAST KNIGHT promises to be even more exciting than the four films that came before it, each generation of Cat® Excavators delivers more productive and efficient performance. Always ready for the next challenge—it’s a quality Caterpillar and TRANSFORMERS: THE LAST KNIGHT have in common. The first film in Paramount Pictures and Michael Bay’s Transformers franchise was released in 2007. In the 10 years since, the filmmakers have continued to bring audiences more visual excitement. Key to the evolution of Michael Bay’s vision has been the use of IMAX 3D camera technology. According to IMAX.com, IMAX has been leading the way in immersive theatre experiences since 1968. Its innovations include stadium seating, development of the highest resolution cameras in the world, and laser projection and sound technology. These tools in the hands of directors and cinematographers create new movie-going experiences. So, seeing TRANSFORMERS: THE LAST KNIGHT isn’t just another night at the movies. It’s an action-packed, breakthrough experience like nothing you’ve seen before. 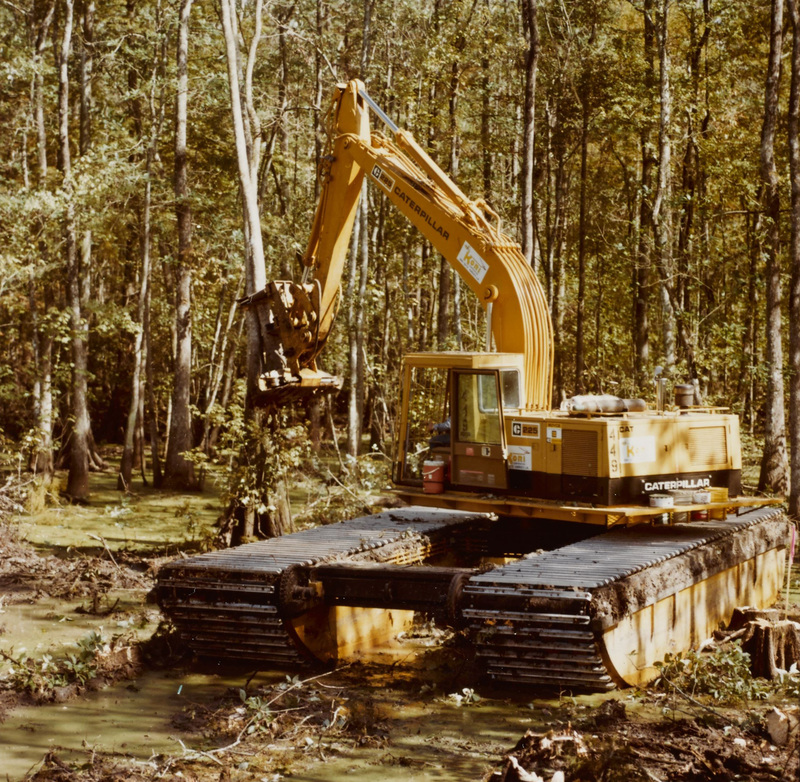 Cat hydraulic excavators pre-date the first TRANSFORMERS film—we introduced our first model, the Cat 225, in 1972. The changes in modern computer-aided design (CAD) may not be as mainstream as Hollywood movies, but it’s evolved as much if not more over the past 45 years. The roots of what we know today as CAD/CAM systems derived from PRONTO (Program for Numerical Tooling Operations), developed by Patrick Hanratty during World War II. Some industry analysts estimate that 70% of all 3D mechanical systems today have roots in this original code. Modeling research turned from 2D to 3D applications with the first commercial CAD software system released in 1972—the same year as the Cat 225. In 1987 an AutoCAD program called Pro/Engineer was released that ran on UNIX workstations—because PCs still didn’t have the capabilities needed to run CAD programs. It wasn’t until 2000 that Alibre Design became the first 3D CAD software able to perform full 3D modeling over the Internet. It’s now possible for engineers to work with CAD on any Mac, Windows PC or tablet, and systems are compatible with all major platforms. Take a look at the evolution of excavators that CAD has helped make possible in this comparison of our original 225 excavator with today’s equivalent. The evolution of computing technology has had an impact on the evolution of both Cat equipment and TRANSFORMERS: THE LAST KNIGHT, with engineers, designers and animators all using similar tools to create amazing machines. 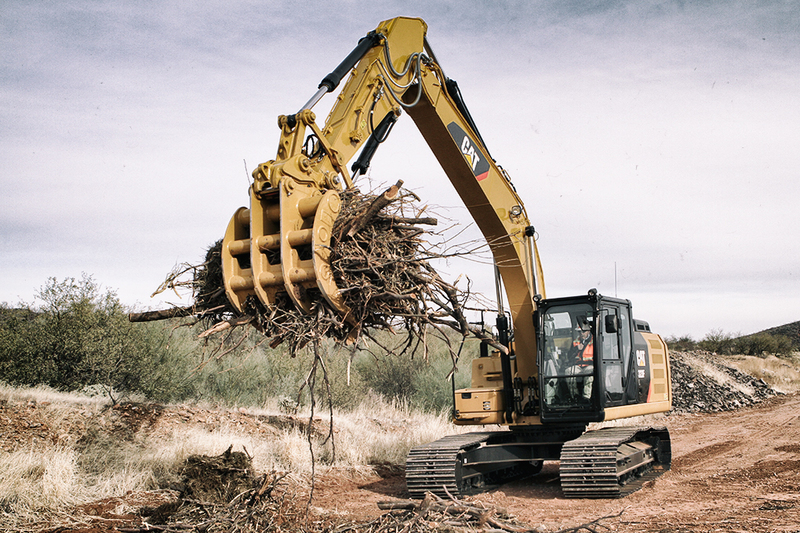 What’s next in the Cat Excavator evolution? Stay tuned to find out! © 2017 Paramount Pictures. All Rights Reserved. Hasbro, Transformers and all related characters are trademarks of Hasbro.